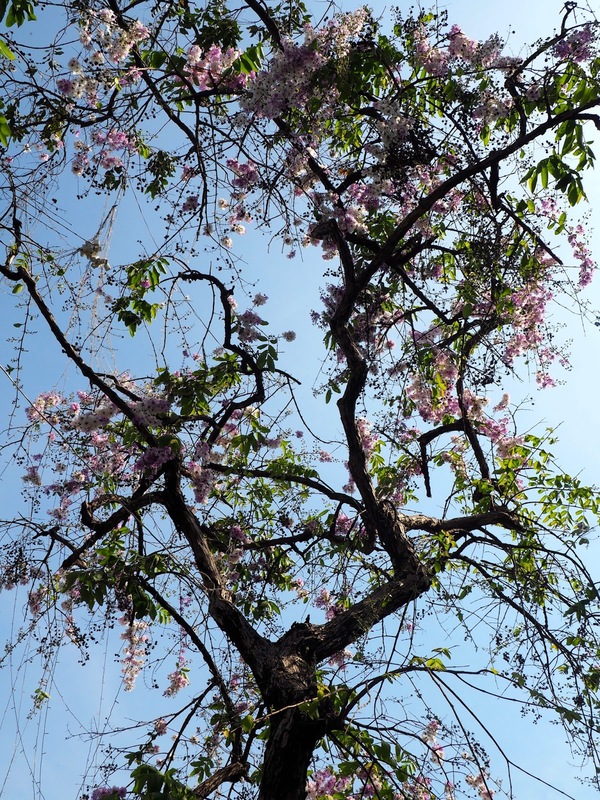 Life is still pretty busy since moving back to Hong Kong - I've more or less spent all week either in work or apartment hunting, so I'm going to wait to write a post about settling in again once I'm a bit more sorted out. So, instead today I'm bringing you my first travel inspiration post in a little while. I've decided to feature Cambodia today, as it's been about a year since my trip there (we start the Lunar New Year holiday next week). 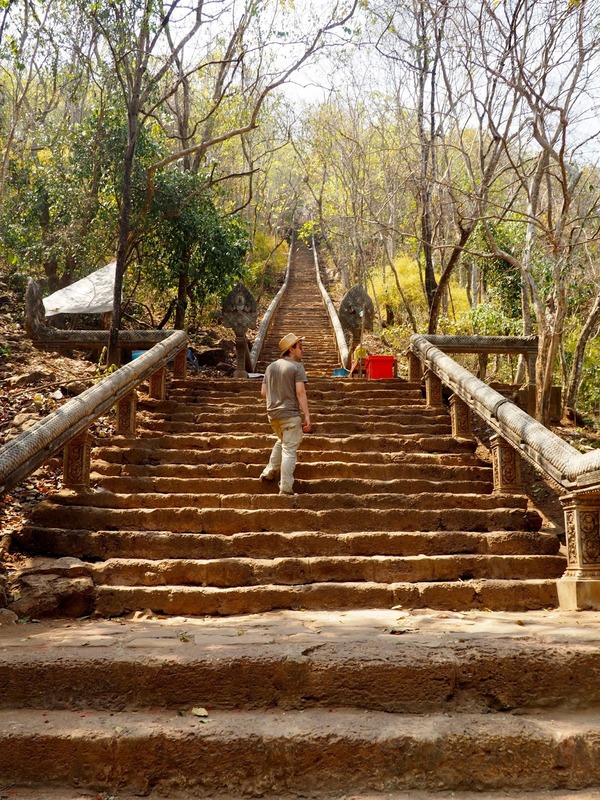 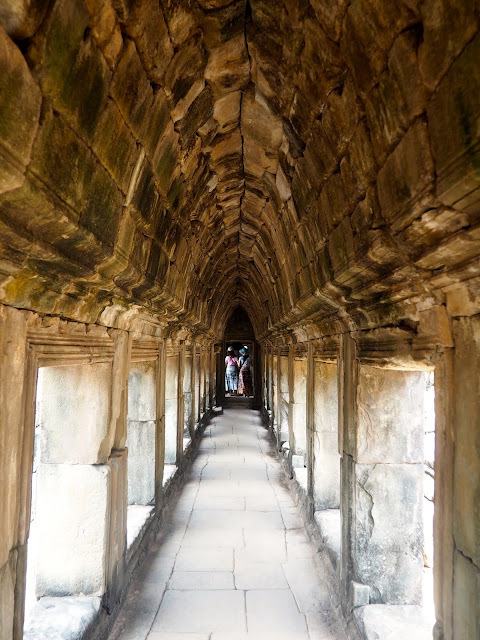 I travelled the country pretty thoroughly, over nearly two weeks, visiting Phnom Penh, Battambang, Koh Rong, and of course, the Angkor Temples. 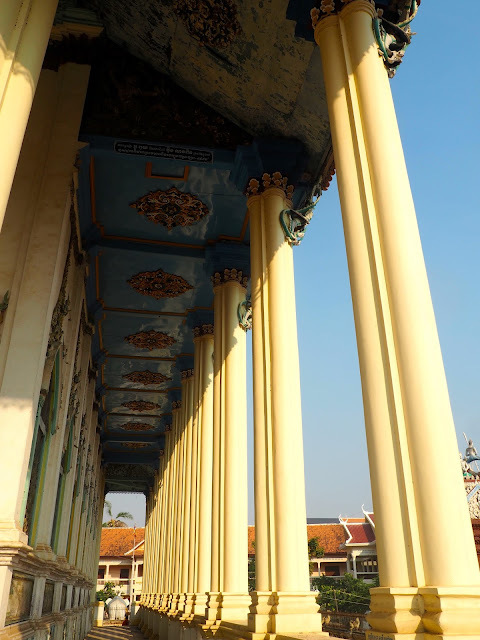 My posts from last year have plenty of information about the whole trip, so this post is to give you a taste of the country. 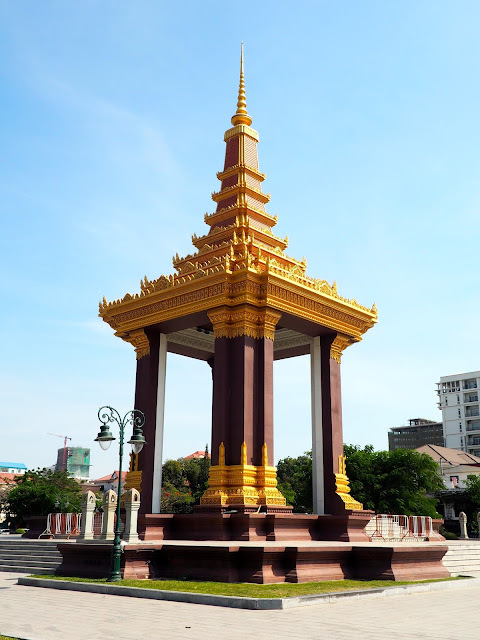 Phnom Penh is the capital of Cambodia, and the busiest city we visited. 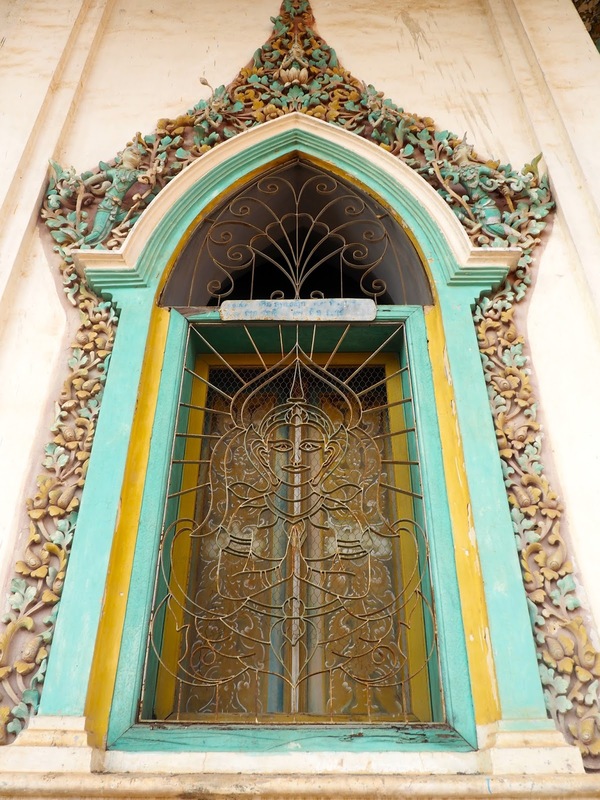 It combines South East Asia with European influences, as there's some French language and style around the city. 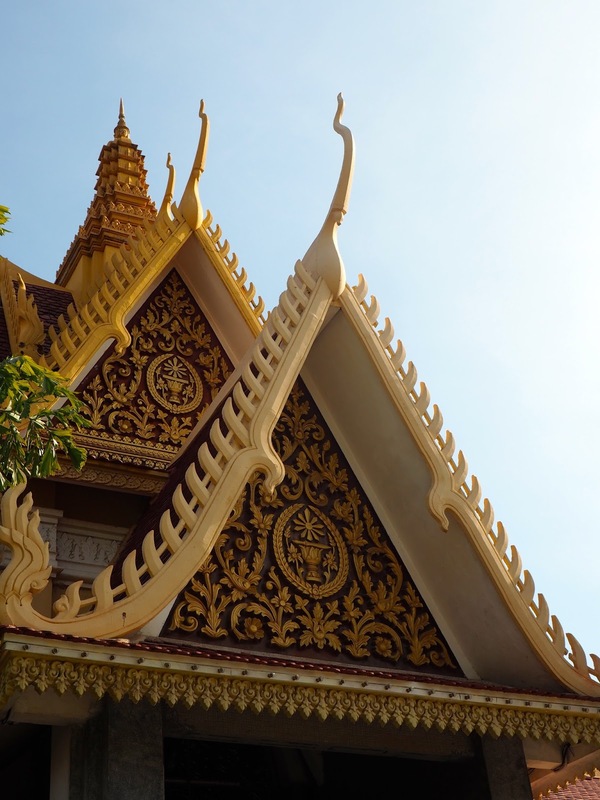 There's large, grand monuments and palaces to see, with those twisty spires typical of this part of the world, and crowded side streets, with local markets and tuk tuks for days. 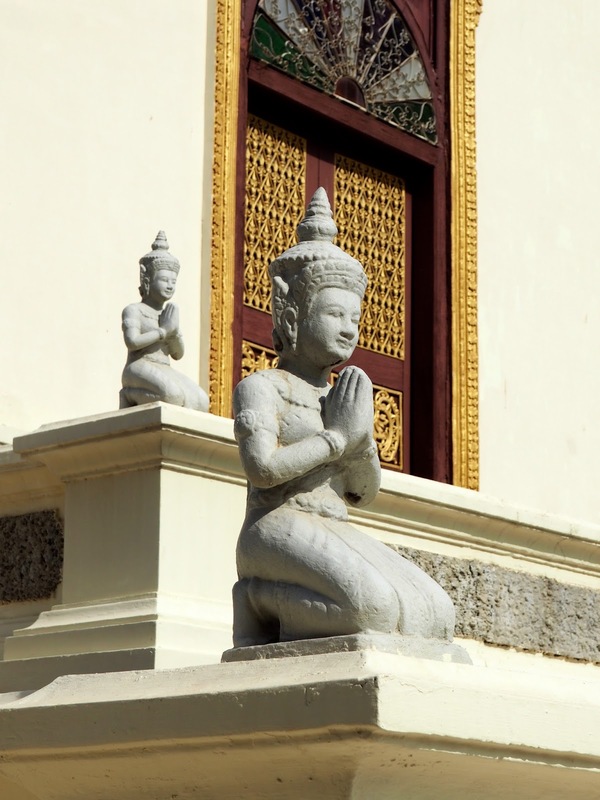 There's an abundance of Buddhas and temples, but also some indications of the country's Hindu past. 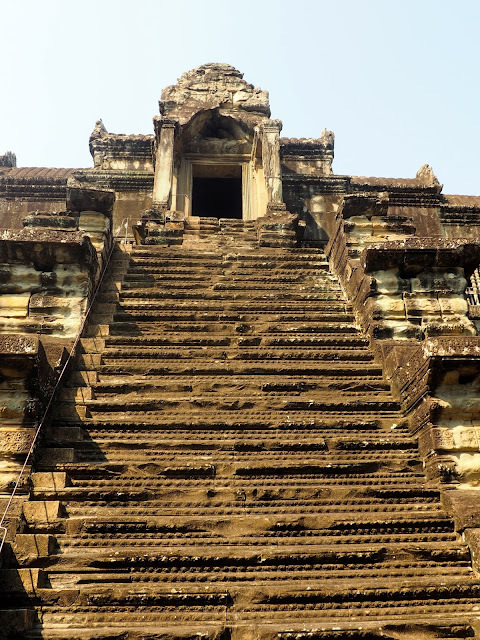 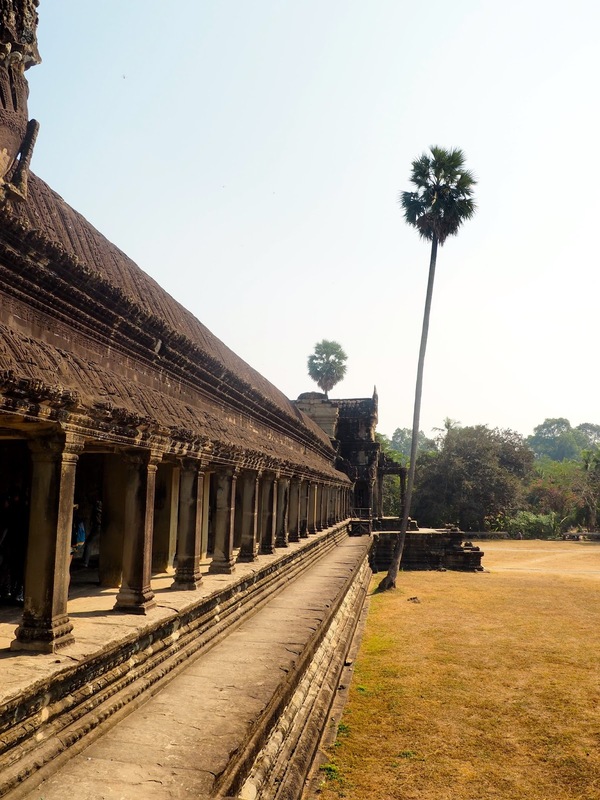 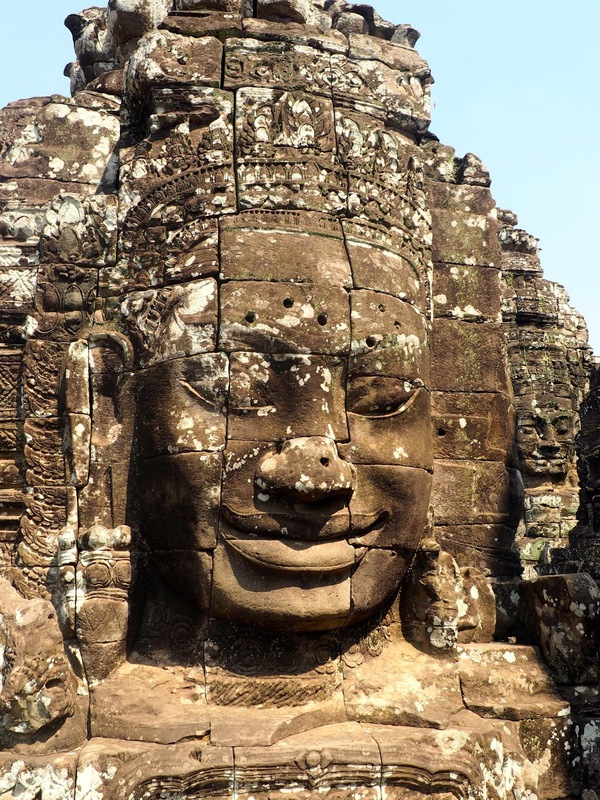 The Angkor temple complex is magnificent in its size and its historical significance - remembering that these structures are thousands of years old is a bit mind-blowing! There are plenty of temples to choose from to visit, each with some unique characteristics, but Angkor Wat is the biggest and most famous of them, and watching the sunrise over the temple is definitely a bucket list moment. 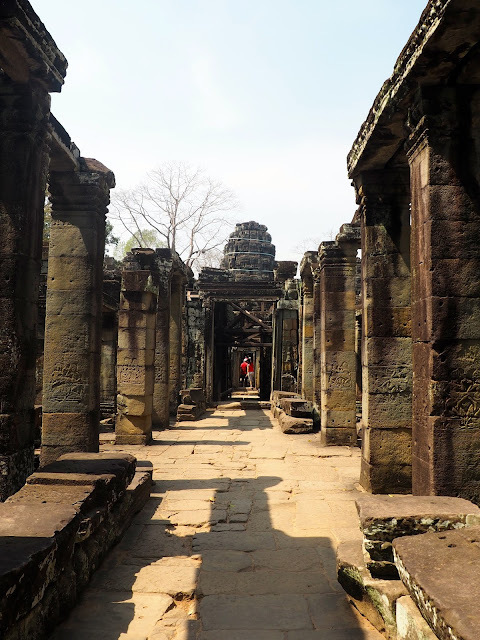 I liked exploring the details of the temples, the carvings and statues, the trees growing from between the stone, and the many pillared hallways. The town if Siem Reap, where most visitors stay, is also fun to spend time in, with its night markets and many restaurants and bars for your evenings. The town of Battambang itself was a bit lacklustre for me, though we did see an array of temples around. 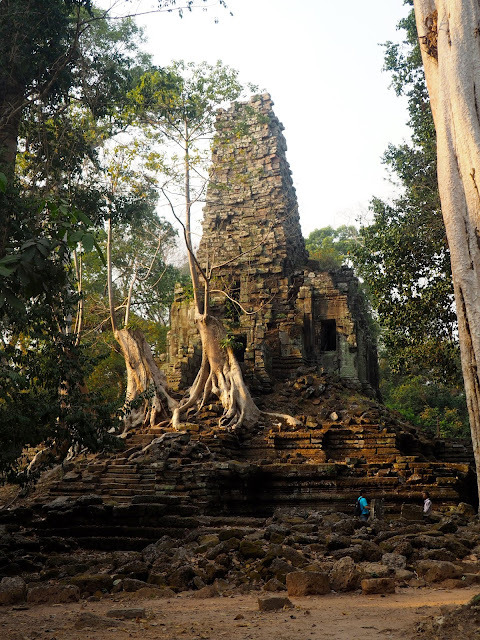 Its the countryside around that's worth seeing, by hiring a tuk tuk tour for the day. 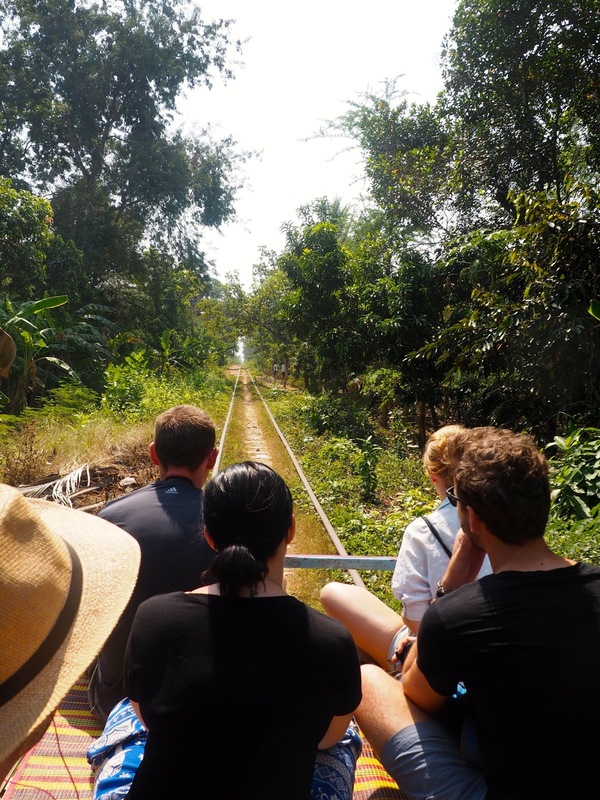 The bamboo train is a fun experience, rattling along a old track and having to stop and dismantle the cart when meeting another coming from the opposite direction. There's also the Killing Cave (I didn't have time to visit the Fields by Phnom Penh), which is an intense experience. And it's nice to roll along through rice fields and tiny villages, and watch how the locals live there. 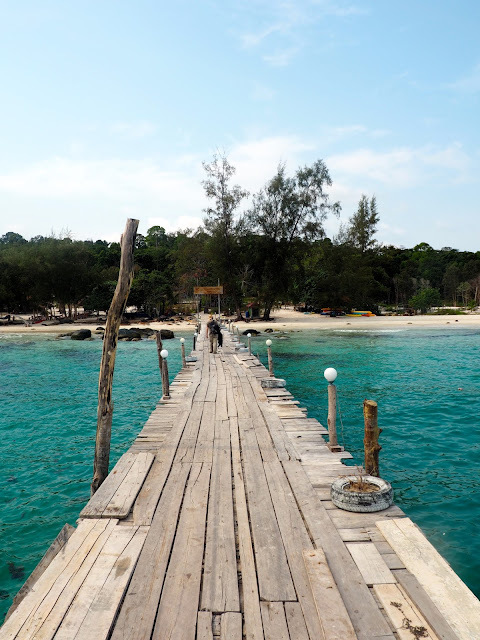 And if you're all tired out from temples and historical sights, Cambodia has its share of beach towns to relax on - many will choose to stay in Sihanoukville, or you can take a boat from there and stay on Koh Rong island for a few days, as we did. The main port of the island is busy with tourists and hotels, but we stayed at a resort away from this, where we slept in a tent, relaxed on a quiet beach, and watched the sunset from the beach bar.